Attract and recruit loads of people on Facebook by strategically posting and engaging with people. Social Media Recruiting in Three Simple Steps is a video webinar series that teaches you how to recruit people on Social Media, specifically Facebook. 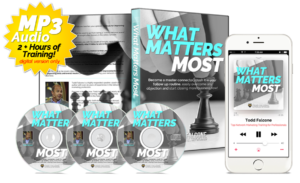 This training series gives you a clear understanding of what you CAN do and what you CANNOT do when it comes to building a network marketing business on Facebook. Many new marketers do things that alienate people, turn them off and cause them to NOT want to do business with you, which is the exact opposite of what you want happening. 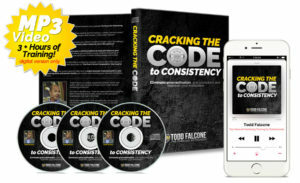 During this training, Todd not only educates you on what the mostly “unwritten rules” are when it comes to building on Facebook, as well as teaches you how to approach people, grow your following and get people to be more engaged with you. 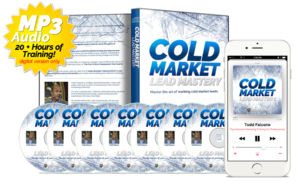 You’ll learn how to generate consistent leads, make new connections with individuals you have things in common with, and how to approach them in a way that is not offensive and gets them to respond favorably to you. Increase your audience size and reach. Increase and improve your post engagement. Understand the differences between Profile Pages and Business Pages. Add friends without being put in Facebook Jail. Understand exactly why people Comment, Like or Share posts. Design posts and status updates that get more interaction. When and how often to post updates on your page. How to schedule posts when you can’t be on your page so you stay consistent. Find content that you can post that people will share with others. How to boost share virality so lots of people see your information and profile. Understand the four types of posts that drive engagement. Finding groups that match your interests to find more prospects. How to create and design your own Facebook group that you control. How to engage people in real conversations that can be taken offline. Create a daily action plan that doesn’t take lots of time, yet creates good results and helps you grow your business online. Virtually everyone on the planet is now on Facebook…so it’s important for you to have a strategy in growing your business and not simply “go through the motions” without a purpose. 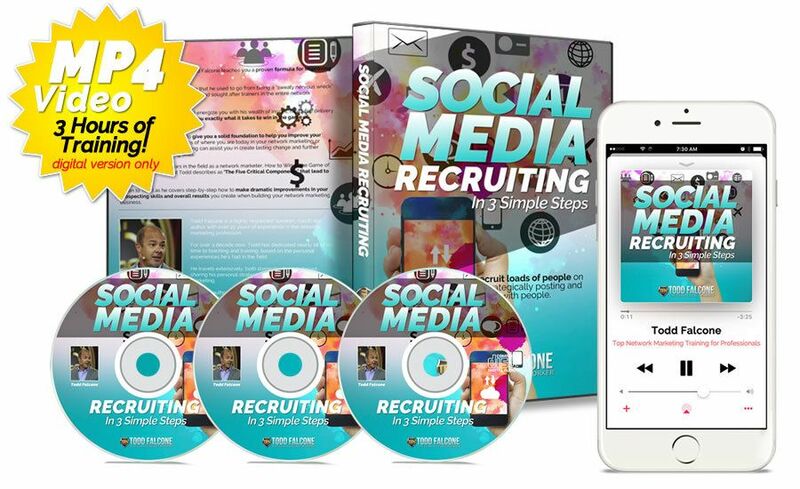 Social Media Recruiting in Three Simple Steps provides you with a solid foundation to grow your relationships, your reach and your network marketing business with all that time you probably already spend on your Facebook page!